WOODSIDE BAR CRAWL, 11377 – Pub scouting is practically a sport in Woodside, where the Irish influence is apparent on every block. To follow in Christopher and Shirley’s footsteps, hit up these spots and go out on your very own bar crawl. Ordering an Irish Car Bomb in Ireland will garner you a few funny stares. The only thing Irish about this drink is the ingredients. The recipe is purely Irish-American, and was supposedly invented by the bartenders at Michael’s Pub in Columbia, Maryland. Still, any NYC mixologist knows about this concoction. 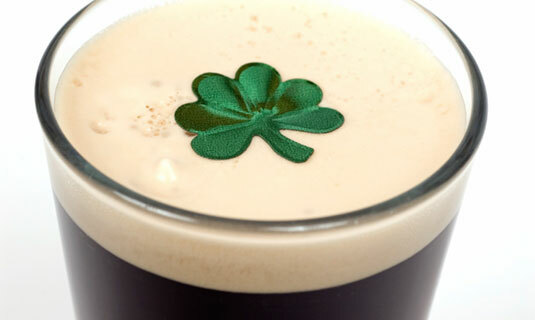 And, with a little practice, you can create the perfect Irish Car Bomb in your very own kitchen. Fill your pint glass with a half pint of Guinness. Place it aside for a second and try not to take a swig. Fill half of your shot glass with whiskey. Take a spoon and hold it just over the shot glass. Slowly pour the Irish Cream over the spoon and into the shot glass. The idea is to float the Irish Cream on top of the whiskey. This takes some practice, so don’t get discouraged. Drop the shot glass into the pint glass, and chug. Make sure you don’t throw your glass back too hard, though. The shot glass could slide back and hit your teeth, and that would ruin the entire experience. Not to mention your enamel. Ouch. And, just a hint: be sure to down this drink all at once. If the Irish Cream sits too long, it will curdle.